This handle is becoming obsolete. You can use the Large Black handle too. 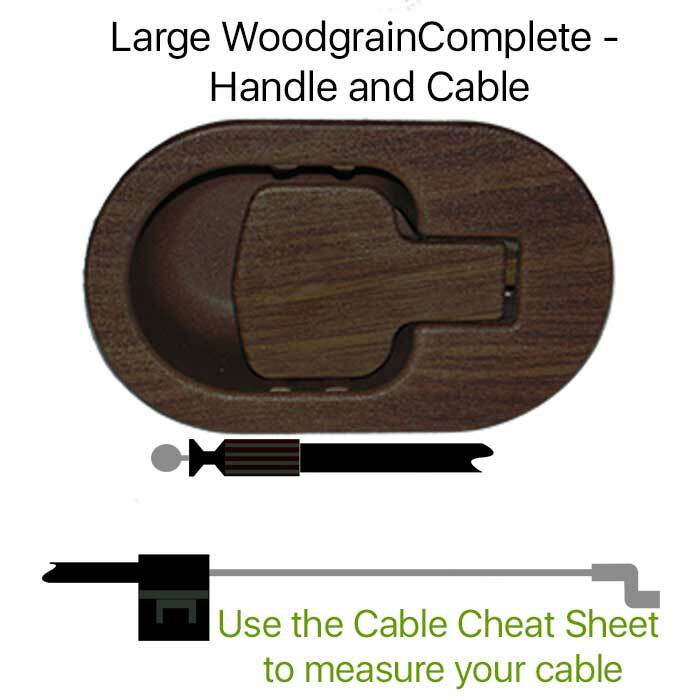 The CouchGuard large woodgrain recliner handle measures 113mm x 70mm across the outer face. These recliner handles take the 6mm barrel. You may order either as individual components or as a complete unit, handle and cable. To make sure you order the correct recliner cable, please use the Cable Cheat Sheet on this page. Tap or click on the Measuring tab. Q. My recliner handle measures 11cm x 7cm. Will your handles still fit? A. Yes. Converted to millimetres is 110mm x 70mm. Q. My recliner handle measures 115mm x 70mm. Will your handles still fit? A. Yes. There can be a couple mm tolerances in the measurements given. 3 Measure the barrel diammeter A. This is across the round face not the length and should be 6mm. 5 IF your cable is longer then 830mm or 965mm look at the 1100mm cable options. Remember to remove the cable from the handle before measuring. Cable Only is the whole cable assemble including the black plastic sheath, barrel, "S" end and clips. There are many different exposed cable lengths for this handle. The 110mm and 150mm exposed cables have an adjustable end on the cable meaning the exposed cable end can be adjusted back by 7mm maximum. For example the 150mm exposed cable can also be 143mm exposed. 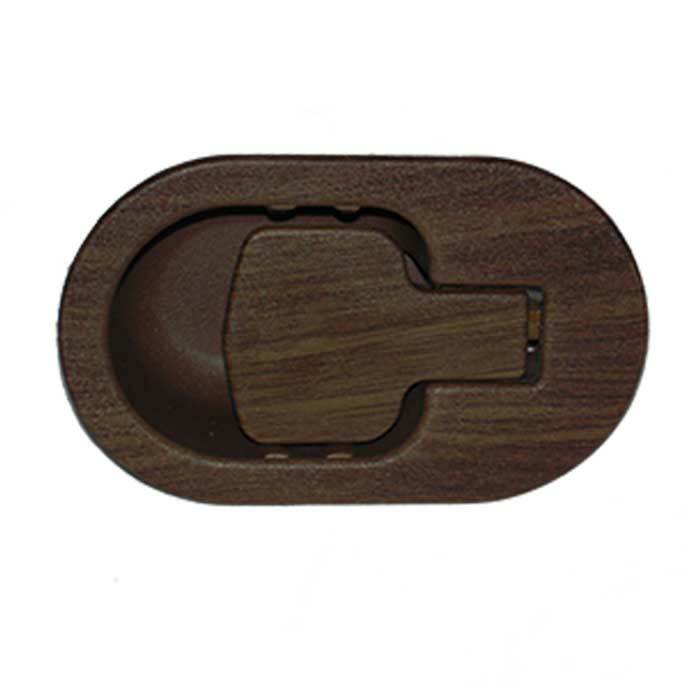 3 This recliner handle measures 113mm x 70mm and takes the 6mm barrel. There can be a couple mm tolerances and our trigger will still fit!